It wasn’t that long ago that Amazon essentially changed the way books are read, sold and marketed. In fact, it was only in 2007 that the Kindle was introduced, and in the six years since ebooks have become as standard of their paper forebears. This has opened the door for the indie book industry to boom- a ship that is still in the process of righting itself. For the indie author who wants to pursue self-publishing, costs can be prohibitive. And with the big Five (formerly Six) publishers cutting costs and pulling crap like this, a new field has emerged- what can be termed Hybrid Publishing, independent imprints that focus on ebook distribution and marketing that are generally supported by smaller print runs. What is lost in a large presence in brick and mortar stores (but not necessarily non-existent) is made up for (for the author) in much larger royalties via a focus on ebooks. John Scalzi has chimed in extensively, speaking up that publishers should offer an advance and if they do not, it should raise red flags to the author. More to the point, that contracts should be fair to both parties- this applies if there is an advance or not. Readers care about this, too, and it benefits the industry as a whole. If the creator is actually getting paid, for example, people are less likely to pirate something. The perception (and reality) of contracts not favoring musicians led, in many ways, to the first wave of music piracy. If the reasoning is that creators aren’t being paid anyway, why not get it for free? The recent success of Fireside Magazine, for example, proves this. 12.5 cents per word for fiction is crazy good and readers are willing to rally around that cause. So it goes for many small presses. For the moment, they will rarely lead to massive success in reaching every reader out there. But with higher revenues and a larger share for the authors, they can make just as much money. And as more of the market share moves to ereaders, this will only grow, making it more inviting for authors to move to smaller publishers. Holy Buckets, Did You See the Veronica Mars Kickstarter? $2.4 million dollars in its first day. Thassalottamoney (really, spellcheck? That’s a word? Aces, champ. Aces). I know this doesn’t fall strictly under the umbrella of publishing, but that is something we should all pay attention to. I jumped on it pretty early and spoke broadly to what it meant to Kickstarter as a whole- namely, big names getting involved and funding projects via crowdsourcing methods. I think it is a really good thing and will only help breed the next set of big names. Similarly, the Success of Fireside’s kickstarter, which I highlighted here last month, is a big deal, not because it raised millions (although $25,000 is nothing to sneeze at), but because it shows that there are quality projects coming out of crowdfunding. Again, it’s not the future, but it’s part of it. As a small aside: If you have a Kickstarter for anything that would be covered here on the site, share it with me. If we dig it, I’ll plug it here. if it’s really cool, we might interview you or do a separate post on it. We’re geeks; we like cool stuff. But this month, you get something special: Some inside info and a preview of my upcoming release, 3024AD: Short Stories, Series One. I started working on 3024AD about a year ago, and while I have written for years, I fell in love with the universe. One of the things I really wanted was a rich, vibrant setting where any character, no matter how small of a role they played, could have their own compelling story. So as I wrote, I started telling those stories as well. Most of them make up this collection. But it’s not just an assortment of shorts. They all tie together and cross paths and overlap. 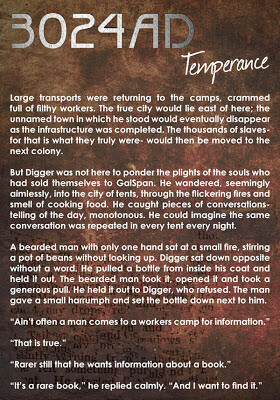 There is a main story arc, which follows a character nicknamed Digger. He has a haunted past and is a thief with an education and a love for history. Many of the stories are the people who cross his path. Some of them play larger roles later in other stories, some just exist within their own. All have their own causes, loves and hates, and stories to be told. I wanted to create a setting where even the characters who don’t have their full story told could. In addition, I wanted it to be a universe that could happen. To that end, ships don’t have artificial gravity, trips between planets don’t happen instantly and inertia actually matters when a spaceship has to change direction or slow down. So there is a distinctly different flavor than the scifi that is out there in a lot of ways. Which isn’t all that terrible, but I wanted it to require a bit more thought. With space travel beginning to advance (rapidly) again in the real world, I wanted to tie that into fiction. It will be available April 23, on all major ereaders and in paperback shortly thereafter. There will be samples up for free at 3024AD that you can download (you can currently read my drafts, if you want to be all hipster about it). I hope you’ll check it out! If you’re curious what the self-publishing process is like, SC Harrison has a pretty excellent summary. If anyone wants to buy me this, I’d be pretty OK with that. Did you know there is OTHER stuff on Kickstarter? There totally is! 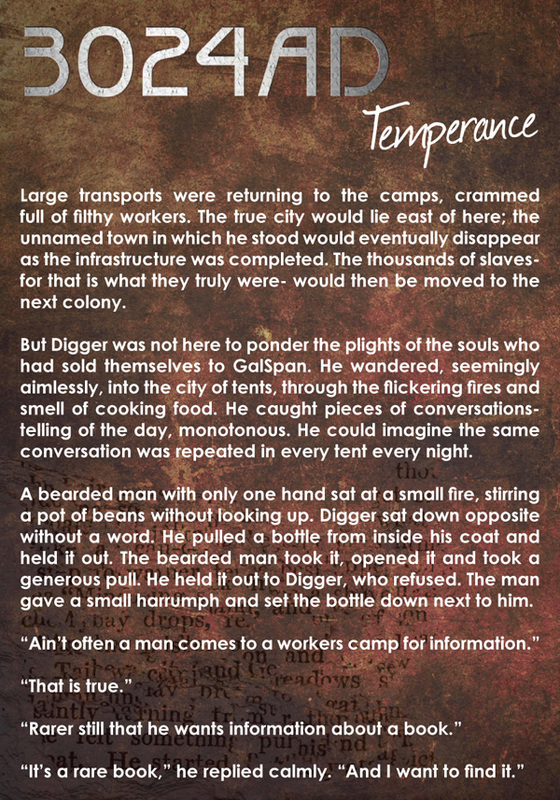 Long Hidden is a historical fiction anthology that is fully funded, so you can basically grab a copy. Random thought: How cool would a comic anthology be? Has anyone done that? Rather than around a character or story, it has a theme. Someone should do that. Mechalarum, by Emma Larsen looks to be a solid scfi novel, and I always endorse a strong heroine. You can even read the first chapter (there is also a really good breakdown of her costs near the bottom, if you’re into that sort of thing). If you’re a Kickstarter geek, her blog is also excellent. Are you sick of hearing about Fireside yet? Because they just opened submissions for Flash Fisction (<1,000 words). So if you have something, go forth and submit.